West Sussex County Council has been described as being ‘out of touch’ by selecting a mitigated northern route as its preferred option for the A27 at Chichester. Bob Lanzer, cabinet member for highways and infrastructure, is set to write to Highways England requesting the improvement scheme be included in the next roads investment strategy, stating that the mitigated northern route is the authority’s preferred option but the full southern route should also be developed as a reasonable alternative. The decision was announced yesterday (Tuesday June 5). It follows Monday’s meeting of the county council’s non-decision making environment, communities and fire select committee, where the majority of councillors backed a northern route as a preferred option, but went against part of the officers’ recommendation to also put the full southern route forward as a reasonable alternative. Highways England is due to undertake a technical assessment of consultant Systra’s work and according to minutes of a recent meeting it would treat both options equally. Ben Kirk, from Chichester Deserves Better, said: “The decision made by WSCC follows a farcical debate on Monday where half the councillors didn’t attend, and half didn’t know what they were voting for. He argued the council had come up with solutions that ‘polarise the community rather than bring it together’. He described how the impression was given that ‘significant adverse impacts’ of a northern bypass could be mitigated to an acceptable degree but he argued there was no evidence to back this up. Mr Kirk believes the county council never had an open mind and has always favoured a northern route, and expressed hope Chichester District Council would take a ‘more sensible stance on Friday by not stating a preference’. 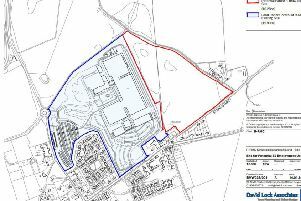 Chichester district councillors are being recommended by officers to promote both options as ‘being desirable without indicating a preference for either option’ on Friday. However Zoe-Elizabeth Neal, co-founder of Chichester A27- No Option is Still an Option, said: “The West Sussex County Council cabinet member decision is very positive as it clearly shows that the county council has taken note of the consultants Systra. The Build a Better A27 group employed Systra to come up with conceptual ideas as it looks to secure Government funding for improvements. Two options were identified: a mitigated northern route and a full southern route. Reaction to the county council’s decision on the Observer’s Facebook page was mixed with some calling it ‘fantastic news’, but others labelling the move ‘irresponsible’. Yesterday Mr Lanzer said: “This decision has been made after a long process of listening to the views of the community, attending the Build a Better A27 group meetings and considering the full report produced by Systra as well as the comments of our select committee. “It is important that we put in both a preferred and an alternative option to Highways England to maximise consensus with the community at this stage. A lot of work has gone into engaging the community and we want to build on this momentum. On Monday county council officers explained they felt it important the council indicate a preferred scheme unlike its response to the Highways England consultation in 2016, while the mitigated northern option had been chosen because Systra recommended it as the best long-term fit. It would also ensure the concept was not removed by Highways England at an early stage.